Begin 2015 with a bang! 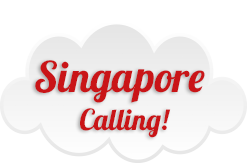 Take your loved one for a special date to Singapore!! Chilli Paneer 2 will make it happen. All you have to do is take part in our Friday contests, and you could win couple return tickets to Singapore. I'm in!! How do I win? Take part in the Chilli Paneer 2 contest posts appearing on Fridays on Facebook and Twitter, in the months of Dec’14 and Jan’15. Give some really quirky and creative answers in the comment section and ask or tag your friends to like your answers. Three participants from every contest will win BookMyShow.com vouchers. A lucky winner among the winners of all the contests will take home the grand prize. Take part in all the contest posts and up your chances for the mega-win. All the best!